THE MFA BLOG: Residencies – A Step towards the MFA? An Alternative? Residencies – A Step towards the MFA? An Alternative? Over the summer I was fortunate enough to be offered a residency at betterArts in the North Country of New York. Besides swimming in the crystal clear lakes and eating veggies fresh from the organic garden, the residency also gave me the time and space to do a lot of much-needed writing free from the demands of my “real” life. I loved every second of it. And it also got me thinking about writing residencies as a concept – I already have a MFA, and I work at a writers conference, so why is applying for and receiving a residency important? And is it important/interesting to everybody? For those of you applying to MFA programs this year, do you think having a residency on your résumé helps? What are the pros/cons for choosing a residency over a conference? 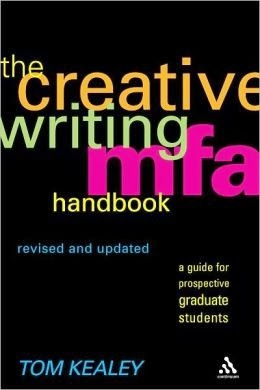 If your reason for joining a MFA program is to devote time to writing, is attending a residency a viable alternative? Post your comments below! I did a creative residency at The Hambidge Center in north Georgia this summer, and will be starting the Queens MFA in Creative Writing program this fall. I did Hambidge because I wanted a block of time this summer to write. I think conferences are great, but they can be very expensive. Otherwise, I would love to attend one of those, too. I think a residency would certainly provide valuable time away from from "real life" commitments to focus on writing, but I am astonished as to how people are able to do it. I work a 9-5 low-level analyst job. There is no way I would be able to: 1) accumulate enough vacation time to make a 2 week or 1 month residency work; 2) be granted a leave of absence or something similar for a pursuit that is not in the mission of my company; or 3) save up the money to pay for a residency, most of which are prohibitively high. I am applying for an MFA for all these reasons. It will give me time to write, while hopefully compensating me (somewhat) as a TA or writing instructor. I have a friend (a graduate of the Rutgers MFA) who recently took a year off from her job and went from residency to residency. She applied to them in such a way that she could line them up back to back (with an occasional stop over at her parents' house). Some were free and some were not, but I think she spent a grand total of $6,000 for the entire year. Granted, getting into all those residencies is not an easy thing to do (MacDowell, Millay, Yaddo), but there are a ton out there, all over the US. It's something to think about. I'm about to apply to a funded seven month residency program specifically for writers in the early stages of their careers. At least I will not be competing with well-established writers, which I believe is the case for most funded residency programs. I do not look at a residency as an alternative to an MFA--I am also applying to an MFA program this season (that's right, only one) in addition to the residency. Personally I would never pay for a residency, MFA, or a conference. I think they are a waste of money. But I'm all for a school or residency paying me to spend time on my craft! Although, if you are comfortable spending the money and you want to spend time devoted to your writing, I would say go for it! The main benefits I can think of for choosing an MFA over a residency is that in general they are longer, and you work closely with peers and mentors. Also it possibly gives you the chance to teach and/or help edit a lit journal if those are things you are interested in. I do not think having a residency on your resume helps with getting into an MFA program other than the progress you make on your manuscript during the residency. From what I understand (at least for fully-funded programs) really what gets you in is your writing sample, an impressive resume doesn't make much of a difference if your writing doesn't make the cut. Anyway, there's my two cents. Best of luck to everyone applying to programs/residencies/etc! Oh yeah, and for anyone who doesn't know, the Poets & Writers website is an amazing tool to find residencies, conferences, as well as other things. I'm hoping to apply for a few residencies after the MFA. I don't think I would have been ready for a residency before my program. 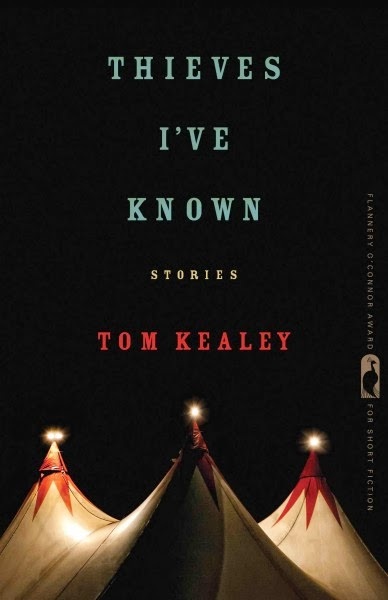 Now, I have a solid collection of short stories to work with and a novel draft to focus on. @jzz, you have a good point, I would be taking a huge loss if you want to look at it that way. I'm a few years out of college and making about 50k a year, but I hate my job and would love for a school to pay me even just an almost livable stipend so I could quit my job and concentrate on my craft. Excellent article I like the post; really like and the choice of defined as much as possible, what you are doing an incredible job many of people just like you via which form of helpful information sites offer consciousness to be able to you in connection with a lot of things. My spouse and i go through various other fascinating sites from the sites in addition to I will be much curious using your blogs expertise, My partner and i additionally started to write post and also this form talk definitely help myself available. I already saved your current web page in addition to contributed ones websites for you to our acquaintances not simply me personally although all of them just like ones running a blog skills, hope people produce a lot more exciting weblogs like this one particular in addition to enjoy for the long term weblogs. Well written content and I admired your effort. I'm introducing a best site pre residency fellowship for all students.